Honda 80hp Outboard, Honda BF80 LRTU, Long Shaft, Electric Start, Power Trim and Tilt, 12volt/44 amp and Control Box. Honda 60hp Outboard, Honda BF60 LRTU, Long Shaft, Electric Start, Power Trim and Tilt, 12volt/22 amp and Control Box. Honda 50hp Outboard, Honda BF50 LRTU, Long Shaft, Remote Control, Power Trim and Tilt, Tachometer, Trim Gauge, 12volt/22 amp and Control Box. Honda 40hp Outboard, Honda BF40 LRTU, Long Shaft, Remote Control, Power Trim and Tilt, Tachometer, Trim Gauge, 12volt/22 amp and Control Box. Honda 30hp Outboard, Honda BF30SRTU, Short Shaft, Remote Control, Power Trim and Tilt, Tachometer, Trim Gauge, 10 amp and Control Box. Honda 30hp Outboard, Honda BF30 LRTU, Long Shaft, Remote Control, Power Trim and Tilt, Tachometer, Trim Gauge, 10 amp and Control Box. Honda 30hp Outboard, Honda BF30 LHGU, Long Shaft, Tiller Handle, 10 amp. Honda 30hp Outboard, Honda BF30 SHGU, Short Shaft, Tiller Handle, 10 amp. 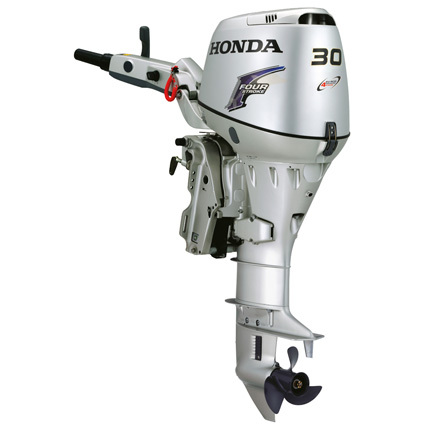 Honda 20hp Outboard, Honda BF20 LRTU, Long Shaft, Electric Start, Remote Control, Power Tilt, 12amp, Control Box. Honda 20hp Outboard, Honda BF20 LRU, Long Shaft, Electric Start, Remote Control, 12amp, Control box. Honda 15hp Outboard, BF15 LRTU, Long Shaft, Electric Start, Remote Control, Power Tilt 12 amp, Control box. Honda 15hp Outboard, BF15 SRU, Short Shaft, Electric Start, Remote Control, 12 amp, Control box.